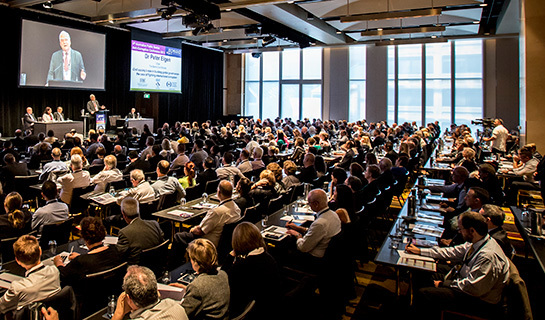 Some 500 delegates will gather in Sydney in November to hear the opinions of more than 70 experts at the biennial Australian Public Sector Anti-Corruption Conference (APSACC). The conference will commence on 14 November with six interactive workshops. Below you will find information on these workshops in addition to recent events hosted by the ICAC. This year marks the 10th anniversary of APSACC. As host city of the inaugural conference in 2007, Sydney will take the reins once again this November to deliver the three-day program of Australia’s premier gathering of practitioners in the anti-corruption and misconduct space. The program on 15 and 16 November includes more than 22 concurrent sessions featuring presentations by George Bokelberg, criminal investigator with the Federal Bureau of Investigation, US judge Mark Wolf, the leading proponent of an international anti-corruption court, and UK cybercrime and cybersecurity expert Esther George. The six workshops on 14 November (listed directly below) are facilitated by qualified and experienced practitioners from the ICAC, the Crime and Corruption Commission in Queensland, the NSW Ombudsman and the US Federal Bureau of Investigation (FBI). Fact-finder equips participants with the tools to plan, conduct, conclude and report on an internal investigation. Corruption prevention for planning professionals explores corrupt conduct in planning and development, and the potential opportunities for corrupt conduct in the design and management of planning systems. Effective complaint management is directed at managers and staff responsible for developing, managing, implementing or monitoring complaint-handling policies and systems. Strategic approaches to corruption prevention assists executives and senior managers to make fuller use of the control inherent in well-designed and managed operational arrangements. Using intelligence to guide corruption and misconduct investigations (half-day) helps participants to identify valuable sources of information to support corruption investigations. Managing white collar and corrupt conduct targets (half-day) maps out the grief stages that investigators and prosecutors can expect from white collar and corrupt conduct targets as they work their way to acceptance. Register here for APSACC and the workshops. You do not need to be a conference delegate to register for an APSACC workshop. More than 190 delegates from both the public and private sectors met in Sydney in September for the 2017 Corruption Prevention Network (CPN) Forum. The ICAC’s Executive Director Corruption Prevention, Lewis Rangott, provided delegates with a comprehensive overview of the primary and emerging threats that organisations in Australia must acknowledge and counter. CPN NSW Chair Paul Cullen closed the day with his hopes for the CPN, its members and supporters to continue to grow and for the content of the network to gather more momentum as a solutions-based group. The CPN NSW began in 1994. It was developed through a meeting of officers from the NSW ICAC, the Audit Office of NSW and corruption prevention practitioners. More information about the CPN and its activities is available on the website. Chief Commissioner the Hon Peter Hall QC, Commissioner Patricia McDonald SC, Commissioner Stephen Rushton SC and ICAC staff visited the Riverina Murray Region in August as part of the ICAC’s Regional and Rural Outreach Program. It was the first occasion at which the Commissioners addressed the audience in their new appointments as heads of the ICAC. They each spoke at the Community Leaders’ forum, which was attended by several public officials and community leaders. The Commissioners were accompanied by ICAC staff who conducted agency visits, workshops and student information sessions. The next outreach visit is scheduled for May 2018.